Obituary for Lillian Ann Wiita | Grays Funeral Chapel LTD. 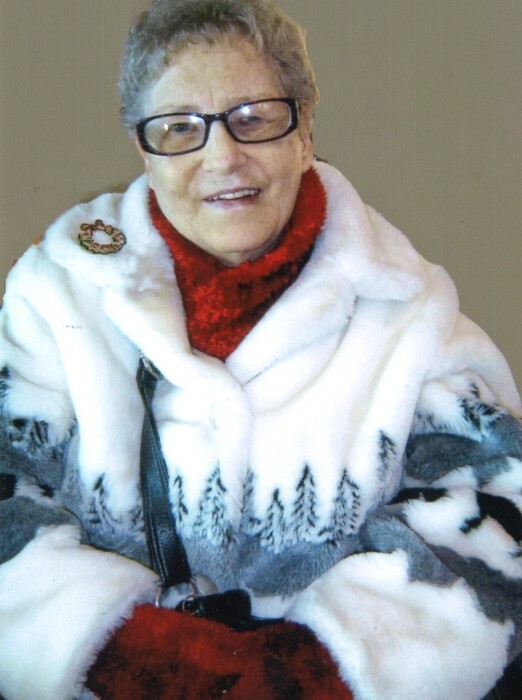 It is with heavy hearts that we announce Lillian “Ann” Wiita passed away at the Victoria Hospital, Prince Albert, SK on April 2, 2019 at the age of 83. Ann was born on December 29, 1935 in Nipawin, SK to Letha and Addie Carr. Ann was born premature and was a fighter all her life! She lived in White Fox, SK with her family for 11 years until they moved to Prince George, BC in October 1947. She completed her grade 10 and was employed as a baby sitter for many, many years. Ann met Leo Wiita on New Year’s Eve in 1975. They were married on September 18, 1976. Leo worked for the CN Railway so they were stationed at Upper Fraser, McGregor and Prince George, BC. Leo retired from the railway and they moved to Prince Albert, SK in June 1991 to be closer to family. Ann and Leo were married for 24 years until his sudden death in June 2000. Ann moved to Carment Court and enjoyed 16 years there. Every week she went to get her hair done, attend the Day Centre at the Victoria Hospital and attend Calvary United Church. Each Sunday she would spend the day with her niece, Linda Hayes, and her family enjoying all the family’s celebrations and outings. Due to failing health, she moved to Kopera Care Home for 1 year. Again after a fall and an extended stay in the hospital, she was transferred to the Big River Health Centre. She enjoyed her stay of 7 months and on March 5, 2019 moved to Pine View Terrace where she was just settling in. Ann’s hobbies included embroidering, knitting and sewing. Most family members have tablecloths embroidered by Ann. She also knit many hats for the nursery at the hospital. Ann and Leo loved to travel by car or train to visit family members in Ontario and BC. A trip to Disneyland was a highlight of their travels. Ann is survived by her loving family: her brother Jack (Louise) Carr, her sister Carol Jones, her brother Lewis (Jannette) Carr, her brother Bill Carr, her sister-in-law Eva Carr, special niece Linda (Bob) Hayes, 8 nieces and nephews, 15 great nieces and nephews and 14 great great nieces and nephews. Ann was predeceased by her husband Leo Wiita, her parents Letha and Addie Carr, her sisters Joyce Carr and Peggy Lidster, her brother Bob Carr, nephew David Carr and brothers-in-law George Lidster and Ed Jones. Memorial Service will be held at 11:00 a.m. on Monday, May 13, 2019 at Calvary United Church, 114 25th Street East, Prince Albert, SK with Reverend Nora Vedress officiating. Interment will be held at White Fox Cemetery immediately following the lunch. Memorial donations may be given to the Calvary United Church memorial fund. Condolences may be sent to the family at www.grays.ca. Funeral arrangements have been entrusted to Gray's Funeral Chapel.